What Are the Different Types of Low-Fat Casseroles? 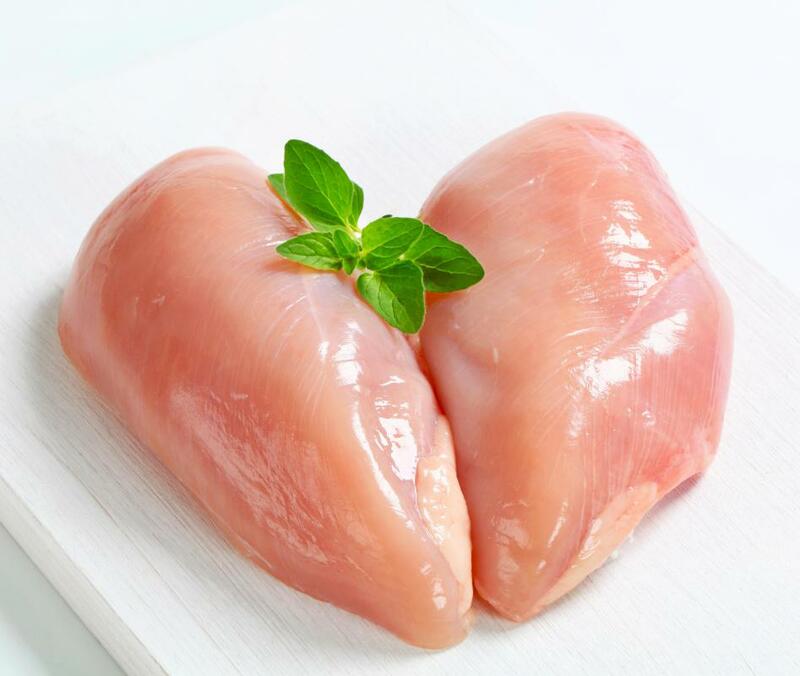 Using skinless chicken breasts in place of red meat is one way to lower the fat content of casseroles. 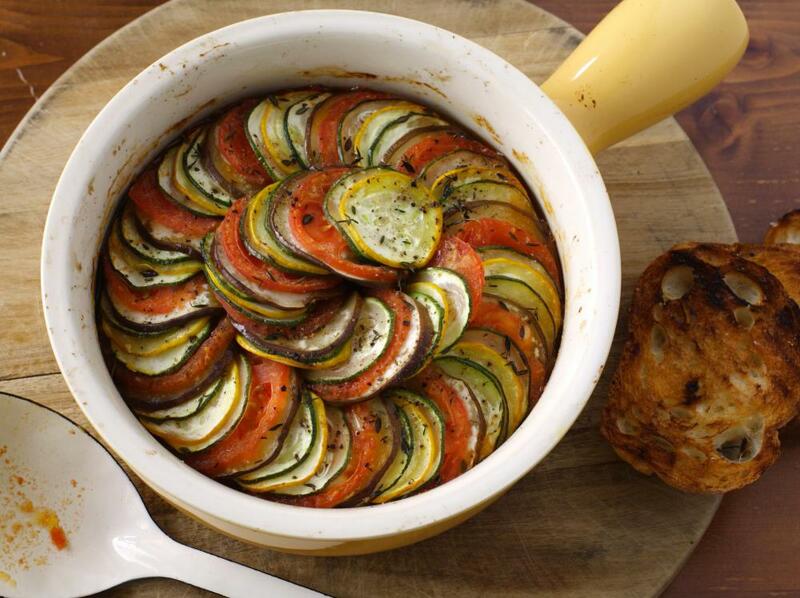 Vegetables may be served as a low-fat casserole dish. 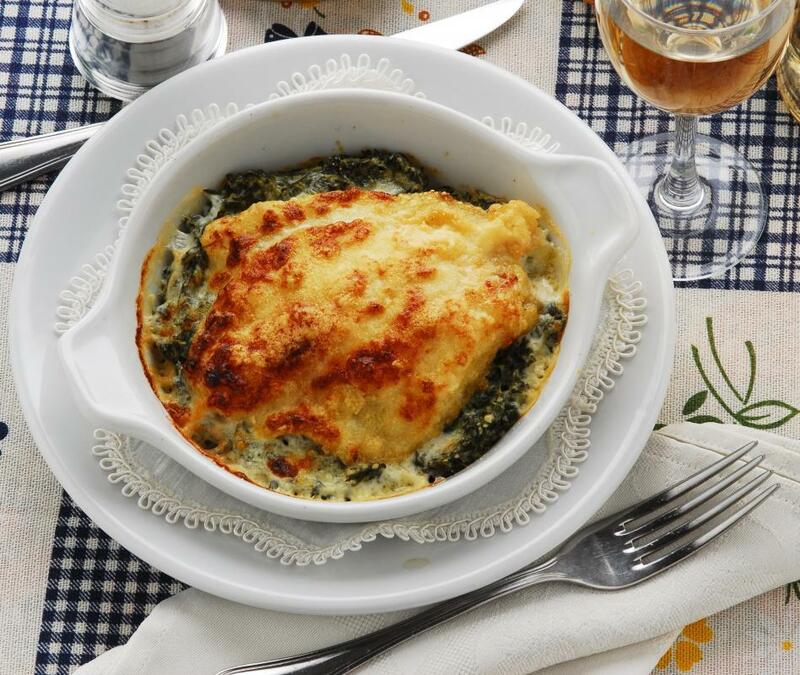 Baked fish and spinach casserole topped with a creamy, low-fat sauce. Depending on how they are prepared, there are a number of ways to make low-fat casseroles that are still filling and delicious. Casseroles are hearty meals that are family favorites in the cooler months, and they are great to freeze and reheat later; however, they are often made with heavy cream soups, making them quite high in fat. Making some simple substitutions and recipe alterations can really reduce the fat in many casserole recipes. Filling them instead with vegetables, beans, or certain types of meat can also lead to delicious low-fat casseroles. Many traditional casserole recipes are made of a mix of cheeses, some sort of bread product, and cream soups. This sends the calorie and fat content of the dish skyrocketing. Instead, recipes for low-fat casseroles often suggest substituting a mixture of low-fat milk, cheeses, and plain yogurt instead of the pre-made soups to significantly cut the fat content. Using whole wheat breadcrumbs is another way to increase the fiber content of the dish, and make it slightly healthier; whole wheat breadcrumbs or cubes are relatively easy to make with a little effort and a bit extra preparation time to allow the bread to go stale. Other low-fat casseroles may not be cream-based at all. Instead, many make use of vegetable broth or chicken broth, often in low-sodium varieties, combined with other ingredients to make a casserole that is similar to a type of thick soup. Regardless of the base used, there are other ways to cut down on the fat content in casseroles as well. The meat that is used in a casserole recipe is one of the most common sources of fat. Ground meat is a popular choice, but this can be substituted for ground chicken or turkey without altering the flavor too much, and for a much lower fat content. Another tip is to saute the meat to cook it, and then, while it is sauteing, regularly drain the grease, which is a source of a lot of the fat. Other types of low-fat casseroles are those that omit the meat entirely. These are often made with a combination of fresh vegetables and beans, such as black beans or hearty kidney beans. Some people will even prepare casseroles using tofu. For those dedicated to following a low-fat diet or finding healthier options for favorite casseroles, there are plenty of choices available that can be prepared with just a little extra effort. What Is a Ham Casserole? What Is a Pumpkin Casserole? What Is a Broccoli Rice Casserole? What Is a Baked Potato Casserole? How Do I Choose the Best Low Calorie Foods? What Are the Different Types of Low-Calorie Pasta? What are Some Healthy Lunch Ideas?